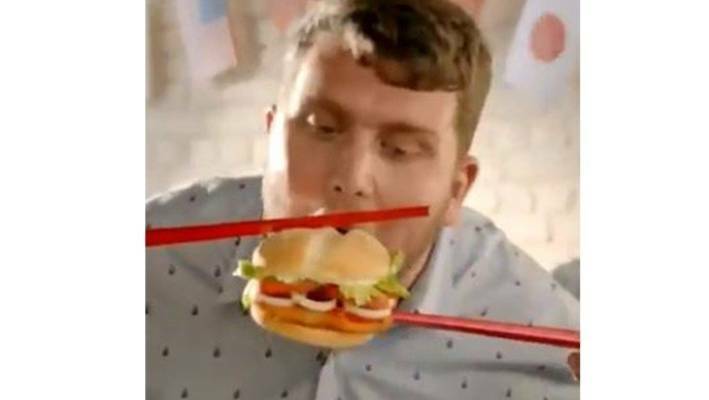 The ad, which aired in New Zealand, features several fast food customers attempting - and failing - to eat the chicken sandwich using giant chopsticks. The ad was posted onto the fast food chain's Instagram account in New Zealand last week. Mo, a student at the University of Waikato, told HuffPost she made a decision to post the video because she was shocked to see it appear on her Instagram feed in the first place. "Say no to every single manifestation of it", she tweeted. Social media posts critical of the ad have been seen and shared widely since late last week. It's not the first time a company has sparked online outrage for using chopsticks in an advertisement. Just previous year Italian fashion brand Dolce and Gabbana were accused of racism and racial stereotyping after they published a video on the Chinese social media site Weibo showing a Chinese model using chopsticks to try to eat a pizza, a cannoli and spaghetti.